I’m a big tech-geek, so my iPad is continuously over full with apps, and many of them are used in my writing. 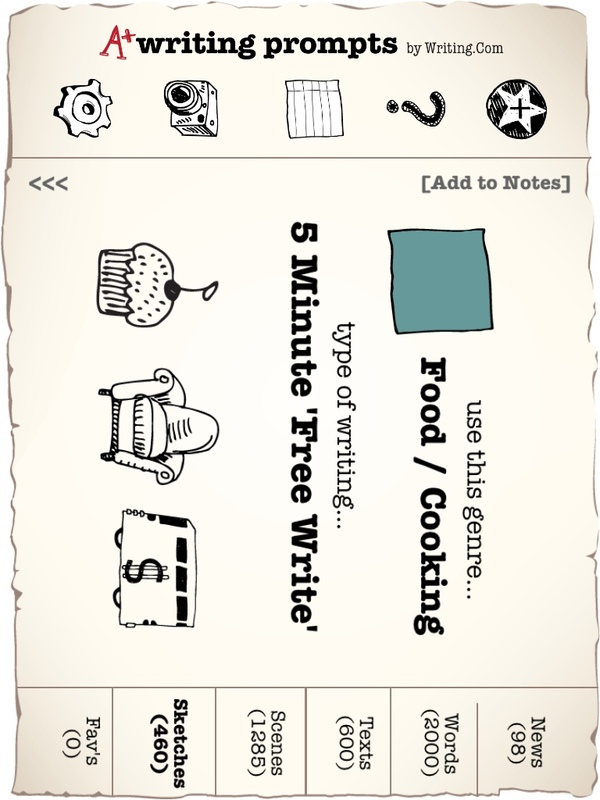 The following is a quick review of some writing prompt apps which may be helpful to generate ideas or inspiration. This app works with a spin mechanism – spin four canisters / categories which you can change around, and add to. Within the categories, you can edit and add words to the lists. Categories can also be created – I have ones for characters, settings, (character) goal, resolution, conflict – to create a random story idea. I also have categories such as genre, or writing challenge (which includes particular word count objectives) which could be handy in things like writing practice or flash fiction. 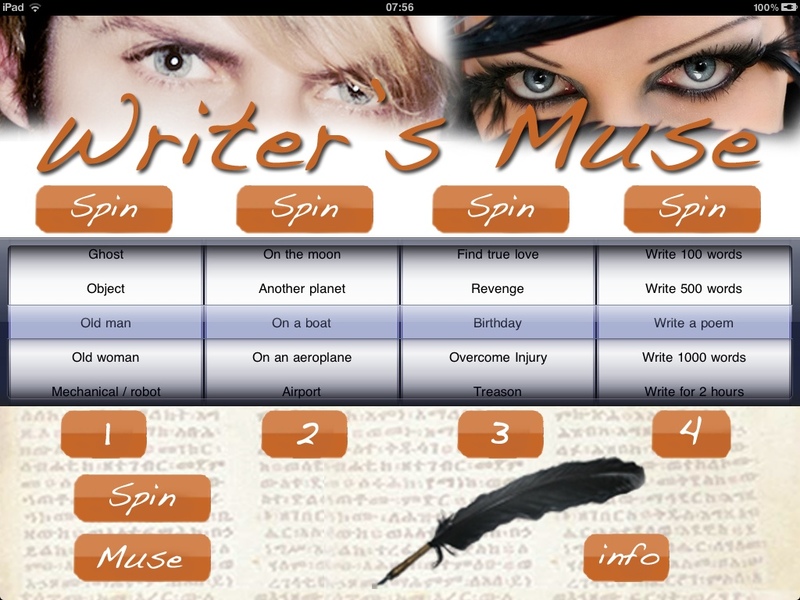 The app also holds a few tips and strategies for writers under the “muse” button. For the iPad, I have Writer’s Muse Pluse. There is also an iPhone version. For a cheap price you get a lot out of this particular app purchase (although annoyingly, it doesn’t support the landscape format, so I am forced to read it on my side). 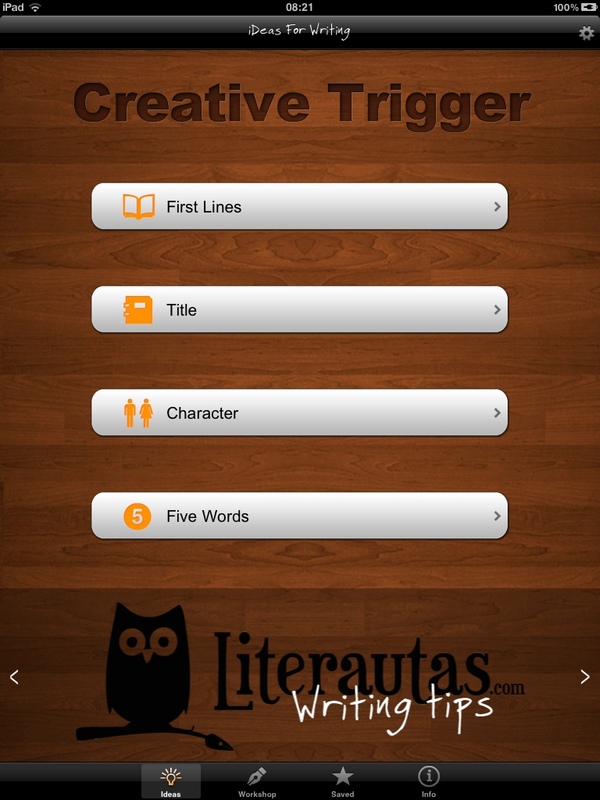 Front page, select from creative triggers – first line, characters, title and words prompts. These access a premade database of prompts, and you are presented with one random prompt which you can refresh for another. Character provides 4 elements – occupation, personality, goal and motivation. Unfortunately, you can’t add to this prompt database. But a powerful feature of Ideas sits in the Workshop tab – this holds a database of writing exercises. Exercises range from starter writing exercises, working on dialog, adding atmosphere, to quick exercises. These are then broken into difficulty levels, and provide several exercises under each level. Part of the Writing.Com stable of apps, this is quite a good one, although expensive compared to the others above. Internally, the app has only been formatted for landscape usage on main pages – the front splash screen and instruction screens are better read (or must be read) in portrait mode. I often have problems thinking about unique characteristics for my main characters, and this app gives some right on the first swipe (or shake). Bad habits, personal style and even a favourite saying are shown on the info panel. You can then select from questions, physical, twists and basic buttons to it up. Basics gives you random names, occupations etc. An excellent feature of this app is the capability to save, take an image of, and make notes to email the profile. At this point, you can’t add to the database but it’s a helpful app nevertheless. This is the educational (or full-featured) writing prompt app from Writing.com. You can purchase the smaller app for less, but then add on packs of prompts for scenes, settings etc must be purchased in-app to build the database with additional elements. These come in this A+ package. The app provides a number of more visual prompts (suitable for the educational market) such as news snippets, or visual words, colour prompts etc. In the scenes area you are presented with textual prompts on setting, character, an object and time/date. As with the Characters app, you can snapshot images, favouritise and email notes on your prompt. I added this in for fun – the basic app includes three pages of fun sound bites – for free. You can purchase some others also. If you’re after a kazoo, drum roll or wah-wah-wahhh fail sound for impregnating into a conversation, here’s your app. Some sounds are on a loop, so if writing a 70’s piece of detective fiction, turn on the funk loop. Purchase the cheap extra sounds and you’ll find a timer sound – if you want to intensify the pressure to write, this one is quite helpful, although there’s no explosion at the end. 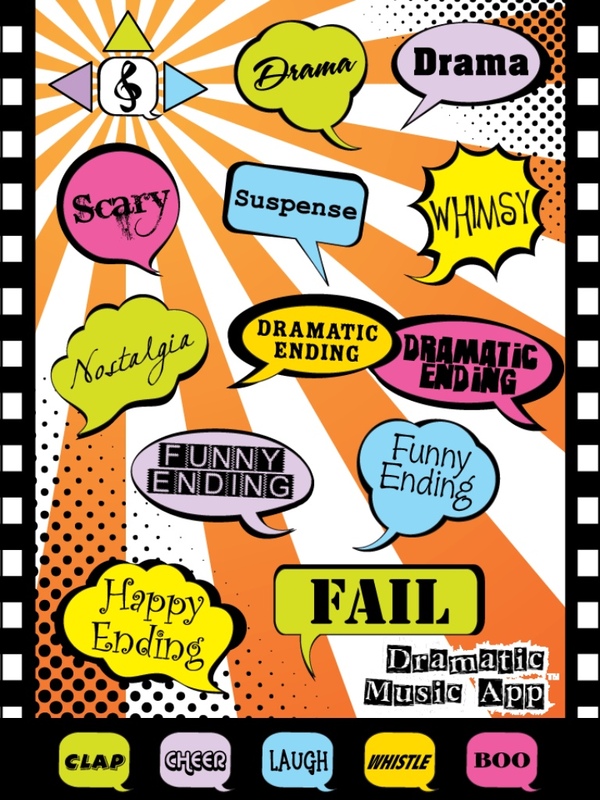 Bugle calls, cheers, claps – there are some good sound bytes here, useful for kids too.